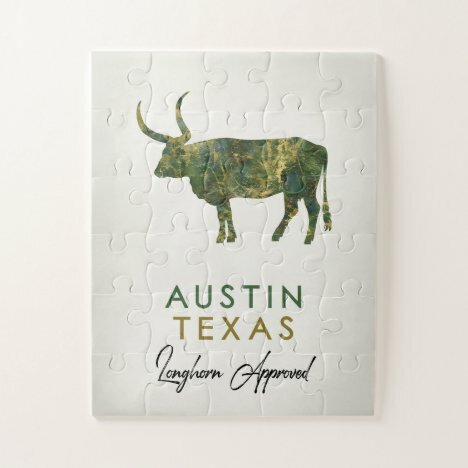 Austin, Texas is guaranteed Longhorn Approved with this dramatic bull design on posters, postcards, magnets and jigsaw puzzles. 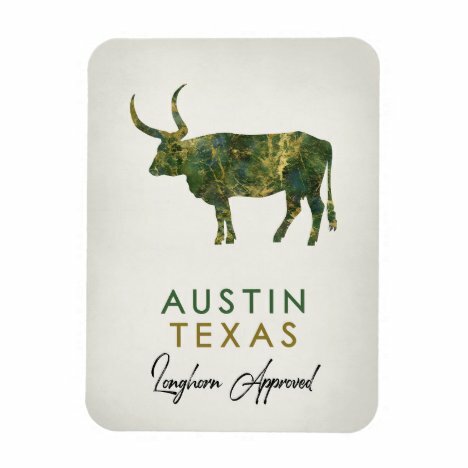 In green marble with black and blue accents, gold marbleized veins and a light neutral shaded background. Makes for great corporate gifts and fabulous office art. More locations in this style can be found at Scuba Flag Gifts.